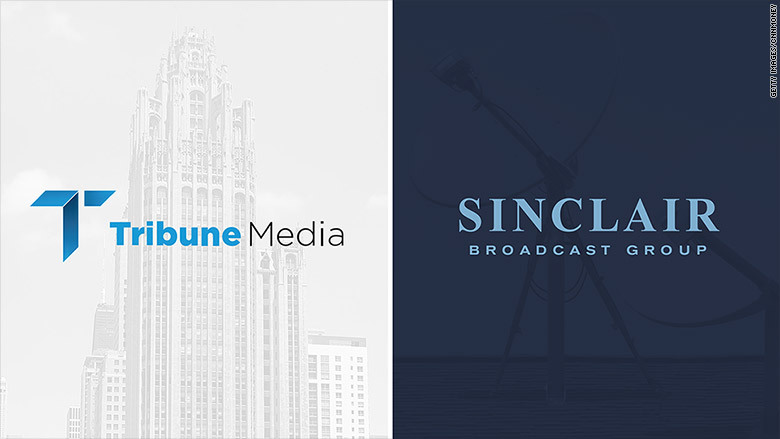 The Sinclair Broadcast Group acquisition of Tribune Media may be on its last legs. Wednesday is the first day Tribune can walk away from the $3.9 billion deal that would give the already huge local television company an even broader reach into American living rooms. With Sinclair stuck in regulatory limbo, analysts expect Tribune to seek another buyer. Wednesday was the deal breakup date specified in the original merger agreement. Sources at both companies said Tribune is likely to walk away. Tribune declined to comment on Wednesday. It would be a stinging defeat for Sinclair, the Maryland-based broadcaster that has been scrutinized for its ties to the Trump administration. Just a few weeks ago it seemed like the deal was set to be approved by the Federal Communications Commission, chaired by Trump appointee Ajit Pai. Critics have assailed Pai for making changes to FCC rules that have benefited Sinclair. The FCC's inspector general is investigating the matter. With that as the backdrop, Pai surprised many observers by saying last month that he had "serious concerns" about how Sinclair planned to sell off certain stations to comply with regulations. Pai said the company may have shown a "lack of candor" in their dealings with the FCC. The commission formally referred Sinclair's proposed acquisition of Tribune to an administrative judge hearing, usually seen as a death knell to these types of deals. But Sinclair hasn't thrown in the towel yet. Sinclair CEO Chris Ripley said in a statement on Wednesday that "we are working with [Tribune] to analyze approaches to the regulatory process that are in the best interest of our companies, employees and shareholders." Later in the day on an earnings conference call, Sinclair executives declined to go into details or answer questions about the state of the acquisition. A high ranking Sinclair employee, speaking on condition of anonymity, said there's a widespread belief within the company that Tribune will, in fact, walk away this week, and possibly strike a deal with Fox instead. Tribune announced on Monday that it had renewed eight station affiliation agreements with Fox, a possible sign that that the company is preparing for a new path without Sinclair. After the FCC's announcement last month, Tribune said it was "assessing all of our options." Sinclair said it was "shocked" by the FCC's decision, and days later hired a team of Republican lobbyists from the S-3 Group to work specifically on the merger. The Tribune board would have to vote to walk away from the deal.